The exhibition ‘(play)ground-less’, now showing at Space In Between, is a collaborative project initiated by Sarah Bayliss, María Angélica Madero, Ninna Bohn Pedersen and Belén Zahera. 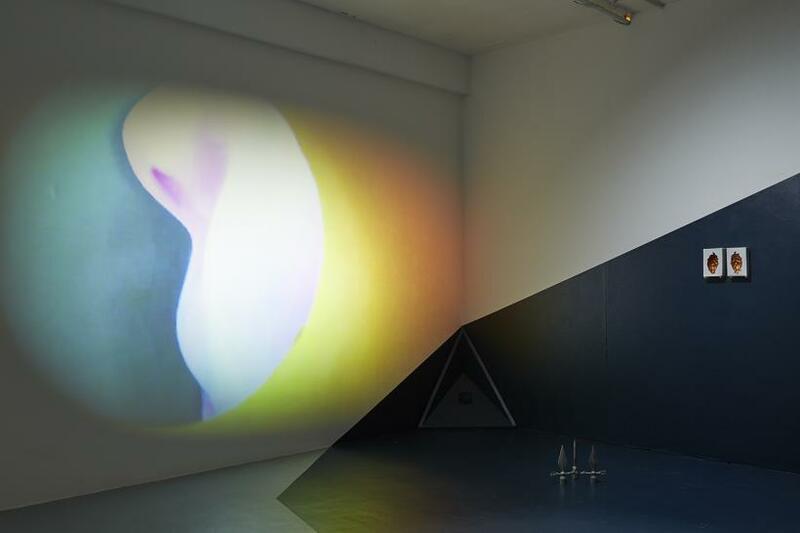 The work traverses the boarders between sculpture, installation, performance, video, sound, painting and text; a collection of hazily interconnected parts which come together to create an intriguing and occasionally illusive whole. 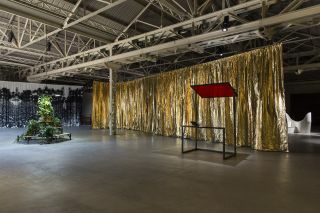 Their starting point was a manifesto which developed a set of structures through which the artists could begin to establish the workings of their interconnected practices. The way this has taken shape builds on notions of ‘play,’ subverting attempts to set and complete clear goals in favour of an approach which works to create new methodologies of interaction and cooperation. 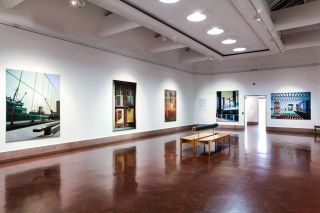 The gallery space has been configured to suggest a stage or perhaps some kind of arena - a forum for the artists to collectively develop their work in dialogue with each other. On one wall, a circular projection shows tactile movements and moments - feet passing over concrete, flashes of road paint and drain covers, hands caressing a metal garage door - all fleeting and piecemeal. From four sets of speakers comes a delicately articulated vocal interchange that hovers across the space, the four artists’ voices initially almost indistinguishable before their accents (each hails from a different part of the world) and intonation begin to separate them. 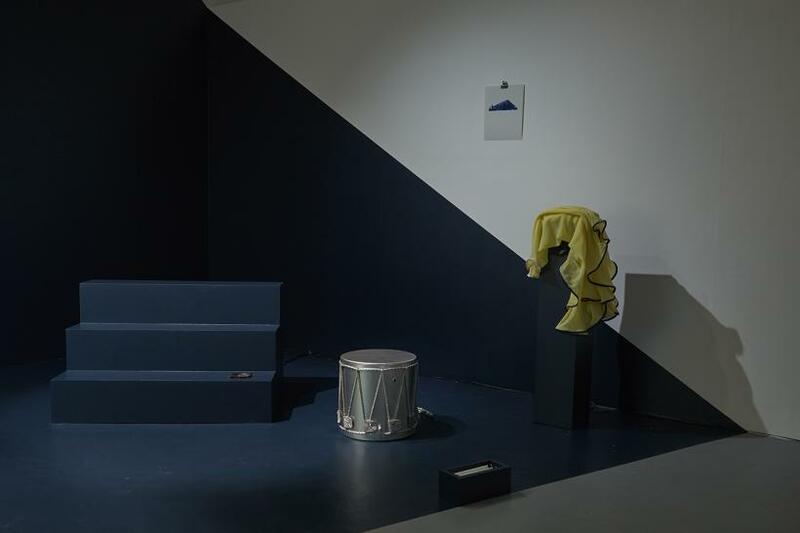 Across one corner, painted blue both across the walls and underfoot to demarcate the space more distinctly, a series of objects sit waiting patiently for hands to activate them. 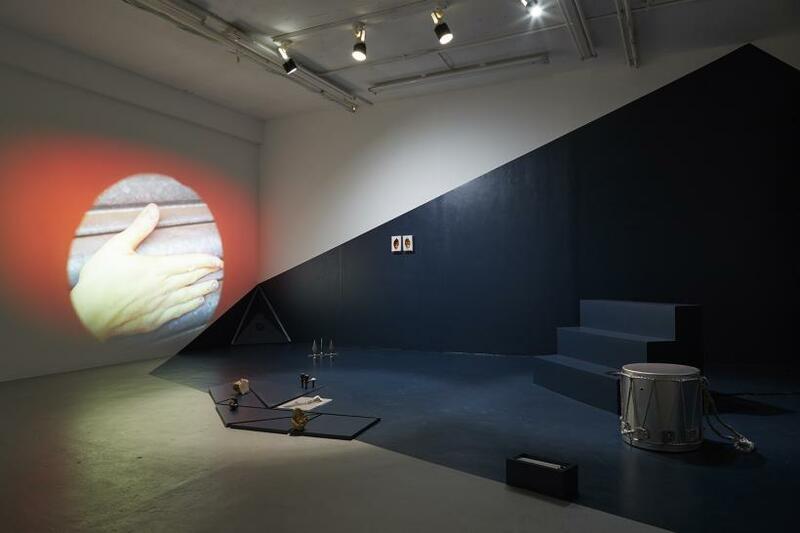 The soundtrack also features these objects, a silver painted drum, a series of panels from a Japanese puzzle game, tools in a process that seems to slowly evolve even beyond what is immediately apparent in front of the viewer. 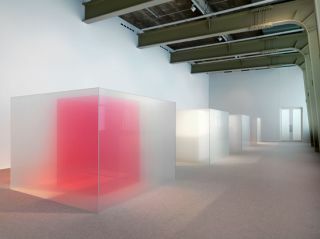 Crucial to this body of work are notions of exchange and exploration, and the installation here can be read as a physical manifestation of a conversation. In conjunction with the exhibition, a publication was launched in December last year accompanied by a performance from the artists that involved them reading from their phones. 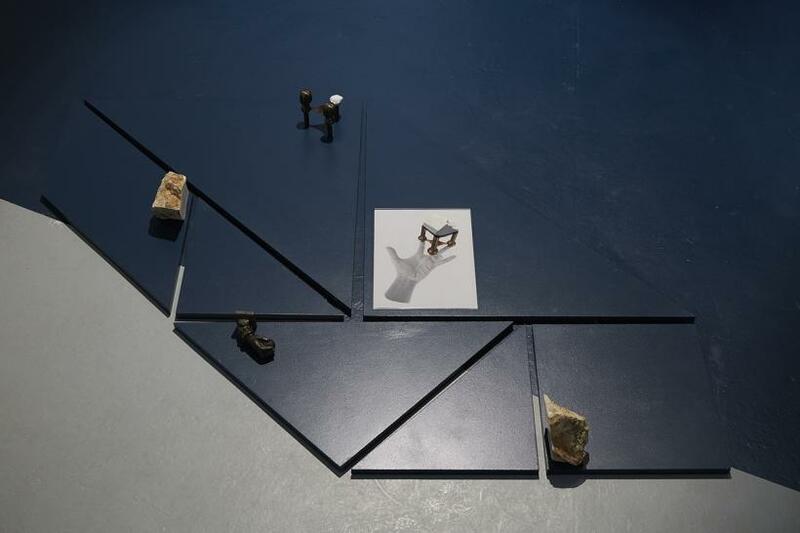 It’s a reflection of the progression they followed to create these pieces, something which necessitated using things like Skype and Snapchat owing to the geographical distances between them, as well as numbered instructions (or ‘tactics’) to stimulate new models of connection. The publication then both catalogues their process up this point while also facilitating its continuation, even beyond the walls of the gallery. 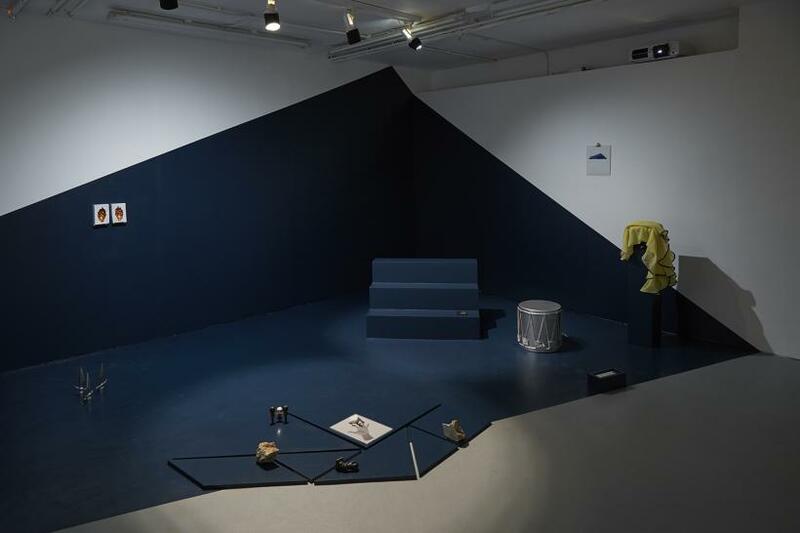 The artists also utilised a blog to collate their materials and actions, which helps emphasise how process is front and centre to what is in the gallery space. To conclude the exhibition at Space In Between, a symposium is being held on January 16 at Guest Projects between the four participating artists and Hi Barbara (the duo of Helen Nisbet and Kay Watson) who work within a similarly collaborative framework. It will feature talks and a performance, adding a further layer to the collaborative dialogue which is so central to their work.